I never hide my love of authors that impress me. To the point of buying stacks of their books and giving them out. Joe Abercrombie is one of those. The First Law trilogy had my immediately, and each new book is just as good. Those lucky people over at IO9 have gotten both a cover image and an excerpt for a first look. Click the link below for their exclusive. Half a King is the coming of age tale of Yarvi. As the youngest son, being born with a disabled hand, he is thought of as half a man, and cannot live up to his warrior father's expectations. After his father and brother are killed, he has to take the throne and struggle with the difficulty of rulership. 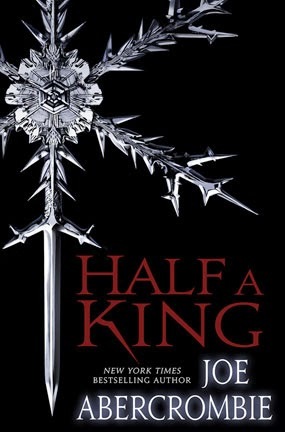 Half a King will be available in July.